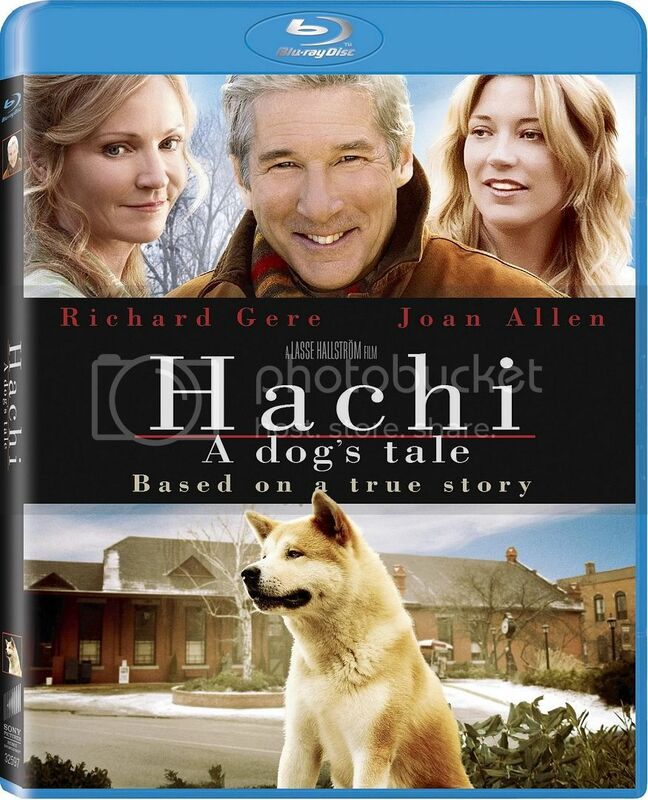 Hachi: A Dog’s Tale comes to Blu-ray with a 1080p AVC/MPEG-4 video presentation. The movie is intentionally soft, although features a nice level of detail whenever the scene allows. The Blu-ray looks very accurate to what I noted when seeing the film last year. The colors are very good and look great particularly during any outdoor scene. Black levels remain nice and inky from beginning to end. The film has a nice healthy layer of grain throughout, although thanks to an anonymous reader I realized it must be stylized grain rather than natural grain as the film was shot digitally. There are certain moments which were definitely on the softer side, but there is a nice level of clarity that you cannot confuse with a standard DVD. I wish I could say the film looks among the best films on the format, but it simply doesn’t. The film looks the way it is intended to and will satisfy most viewers, but I can definitely see why some would not like the look of the film even in high-definition. The video presentation is free of any technical glitches, so whether you like the look or not, this is what the film was meant to look like. I can’t say I was always impressed by the high-def picture, but it still has very good qualities than any viewer will appreciate. 8/10. A 5.1 DTS-HD Master Audio track is included and sounds good. The film’s dialogue is presented front and center, always easy to understand and crisp like any new release. The movie isn’t one that necessarily calls for much surround use to be honest. 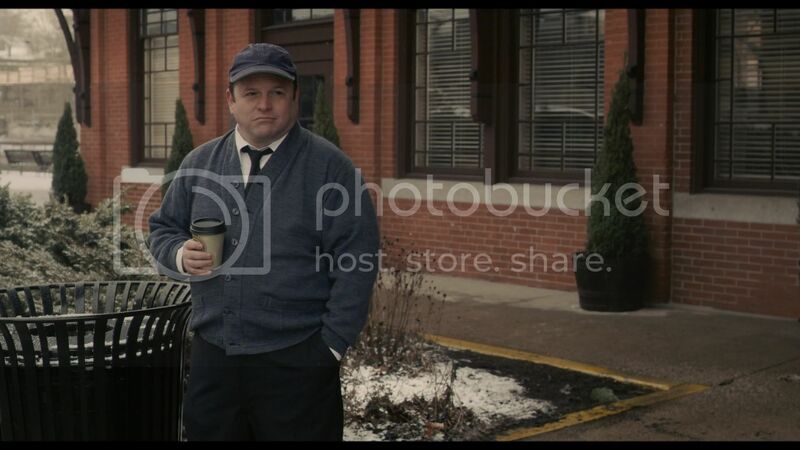 The majority of the film features few necessary effects aside from sounds of the train station and the people walking by. Those moments do make light use of the surround speakers and give life to this surround sound track. Everything presented was always easy to understand and the music used in the film came through beautifully. I think almost any viewer will be more than satisfied by quality of this mix as it never feels lifeless or weak. 7.5/10. This is a very informative feature which covers all levels of production. It features cast and crew interviews as well as a good amount of behind-the-scenes footage. Any fan of the film will love this feature; it’s very informative and entertaining. There is only one real bonus feature included, although MovieIQ is a nice addition that some may enjoy. The featurette included is great though, I absolutely loved it and it’s presented in high-definition. I like to call this a case of ‘quality not quantity,’ although there should have been more extras included such as the theatrical trailer and deleted scenes. 4/10. 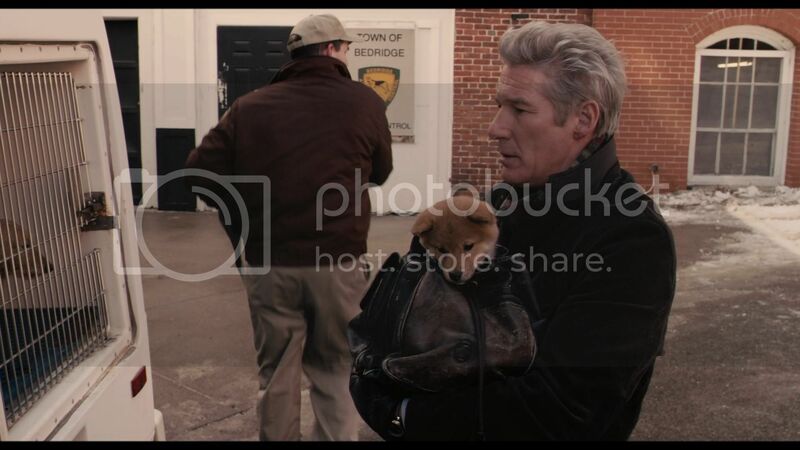 Hachi: A Dog’s Tale is a film I had the opportunity to see at a film festival; unfortunately the film never received a theatrical release in the U.S. 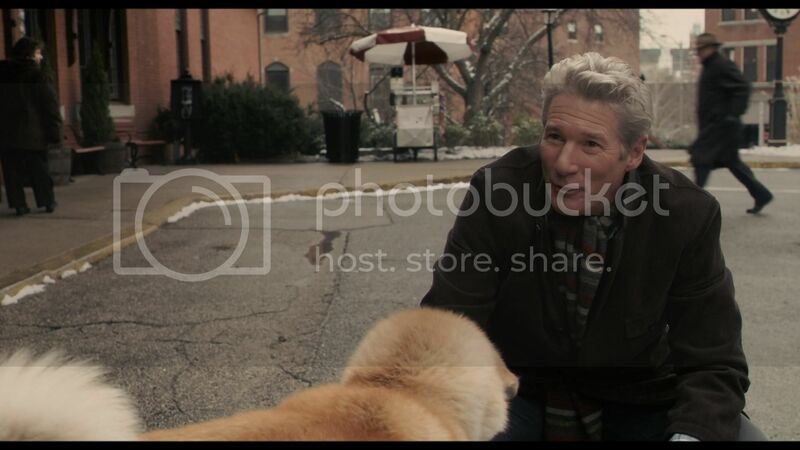 The film stars Richard Gere as Professor Parker Wilson, but the real stars of the film are the dogs that play Hachi. Let me start off by saying the movie is great and certainly deserved a theatrical release and viewer response has been great. The movie could have been quite successful theatrically if marketed right and if actually given a chance. The movie tells the story of the relationship between a man and dog. I think I speak for many when I say that I consider my dog my friend as well as part of my family. A dog can bring happiness and comfort when you feel down and a dog will love you no matter if you’re rich or poor. 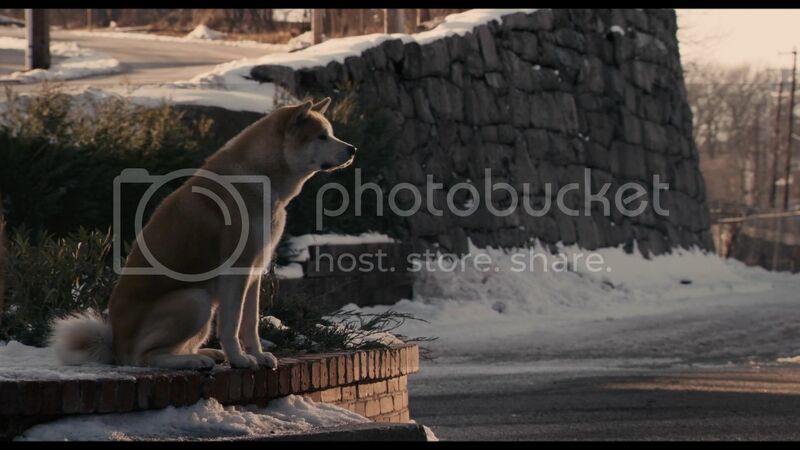 Hachi: A Dog’s Tale is a beautiful story of loyalty and friendship. The movie always receives a very tearful response, even revisiting the film on Blu-ray brought on many tears which I tried desperately to hold back. The story is so simple yet so incredible and there is no way this film will not touch even the coldest of viewers. The plot of the story is about Professor Parker Wilson who comes across a lost puppy at the train station as he departs the train. He takes the puppy home and while his wife initially is hesitant of keeping the dog, they eventually welcome the dog into their family. Most of you who have heard of the film have probably already heard or read the story which the film is based on. Unlike Marley and Me, another dog-based film, this one is much more touching and certainly much better quality-wise. The entire production grew did a great job at making such a believable situation and the dog trainers should be proud of their work on this film. We truly feel for the dog and the emotion and pain is clearly there. This is by far one of the best films involving an animal as a key character that I have ever seen. The movie is beautiful in every aspect and the acting is top notch. This is a film that may upset younger viewers in particular, but it is a very clean and great family film that everyone will really enjoy. I love Hachi: A Dog’s Tale, it takes such a simple story that I think many can relate to in one way or another and is turned into such a quality film. This is a film that should be seen by every dog lover. 9/10. 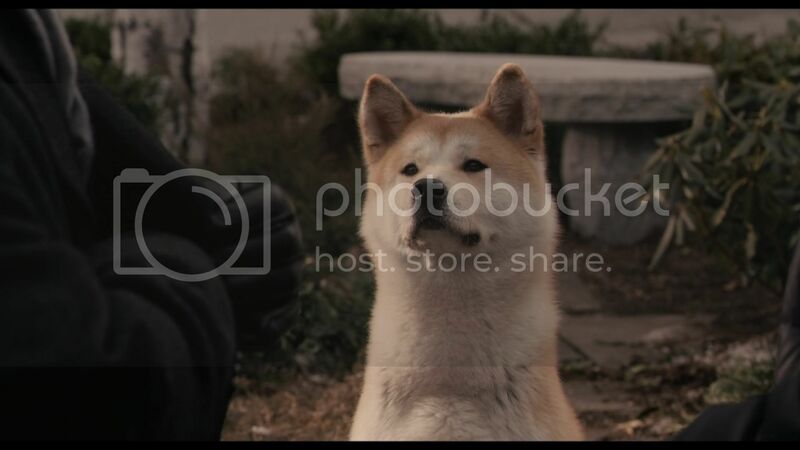 Hachi is one of my favorite films this year; it’s touching and great for the entire family. The Blu-ray release is good, featuring a fitting video presentation and good audio track. The extras are quality over quantity. Hachi: A Dog’s Tale is ‘Highly Recommended’ to any dog lover.